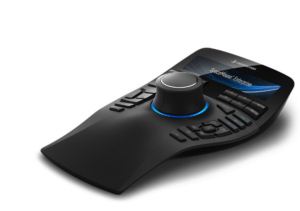 October 2018 saw the launch of SOLIDWORKS 2019 where SolidXperts went above and beyond to highlight the software’s new features and innovations…in theaters! Four of Quebec’s largest cities watched in amazement at CINEPLEX theaters, and Nashua, New Hampshire relaxed in style at CHUNKY’S Cinema and Pub. Our launch tour began at Cinema Galaxy in Sherbrooke on October 10th. 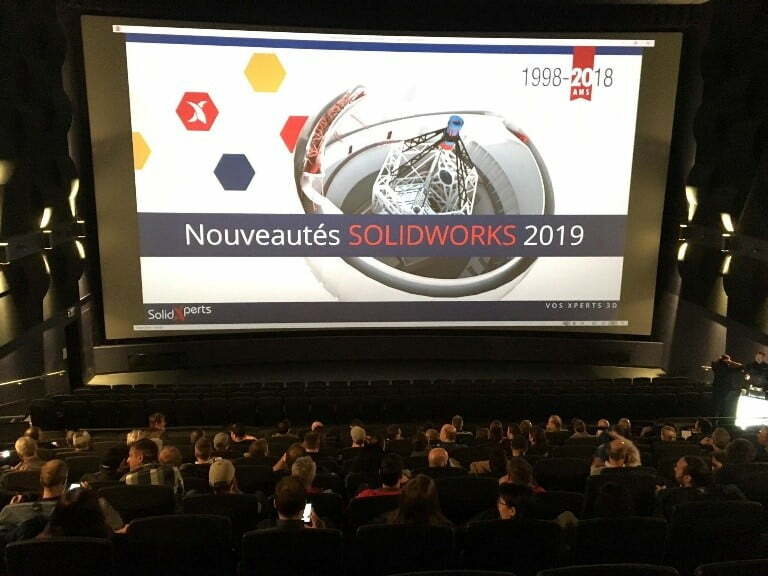 The SolidXperts Team was just as excited as the guests, who rushed in at 9am with the anticipation of being the first to see the new features of SOLIDWORKS 2019. This is our Premiere! Next, at the Cineplex Odeon Ste-Foy in Quebec on October 11th, SolidXperts played alongside Venom, enjoyed a seemingly never-ending ocean of popcorn, and concluded an immensely successful first week with rousing applause and standing ovations. Week 2 started in Nashua New Hampshire, where people flooded into CHUNKY’S Cinema and Pub on October 16th, making sure not to miss a second of the show. Guests lounged in Lincoln Town Car seats and savored lunch from the theater’s fully equipped kitchen with movie themed entrees like the Kevin Bacon burger and Jurassic pork tacos. Quebec continued to prove the success of the formula. SolidXperts’ launch tour stopped in Brossard on October 17th at Cineplex and VIP. Attendees were treated like the VIP’s that they are with access to the beautiful and exclusive VIP lounge. Finally, SolidXperts landed in Cinema Cineplex in Laval on October 18th. Here, viewers not only got to see the presentation in their own theater but had the Cinema itself to themselves for the morning to have the real movie premiere experience. Along with custom branding, superheroes, popcorn, an HD presentation, and amazing surround sound, the launch event featured a SOLIDWORKS 2019 ‘movie trailer’ that shined a spotlight on SOLIDWORKS, some of the amazing projects that rely on the software (The Canada France Hawaii Telescope) and completed the image of the SolidXperts presenters as the X-Men of 3D design. At each presentation SolidXperts held a raffle, giving guests the chance to win big! Prizes included theater movie packages, hockey tickets, and even 3D wireless Pro mice courtesy of 3D Connexion. 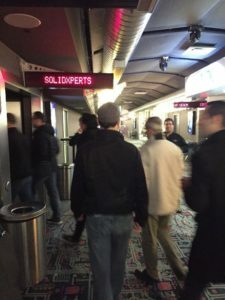 As an added surprise, SolidXperts owner, Alex Habrich made the fast-paced trip to all 5 launch theater events to speak briefly about his appreciation of those who came and to share his vision and passion for SOLIDWORKS, 3D design, the innovations being made, and his hopes for the future of the industry. Finishing touches on the SolidXperts experience for each attendee included complimentary lunch at all locations (alongside all-you-can-eat popcorn), coffee, the chance to mingle with our team and our event partners, and a signed movie poster featuring the Xperts as the X-men superheroes of 3D design, and the ‘Top 10 New Features’ of SOLIDWORKS 2019. This launch event would have never been the same without our partners that helped make all 5 of our launch events a success: LDV Consultant, Solutions Design, 3DL Solutions, Markforged, DriveWorks, and 3D Connexion. The SolidXperts 2019 SOLIDWORKS Launch was our most successful yet! Within days of the presentations, SolidXperts’ inbox exploded with rave reviews. Now that our team has unlocked the secret of movie theater magic, SolidXperts has even bigger, more exciting plans for next year. We look forward to seeing everyone at the SOLIDWORKS 2020 Launch to dive even deeper into the future of 3D! Additional date: See you on November 13 in Saguenay!